There are many wonderful things to enjoy when you come and visit our Marina, but the one thing everyone is the most interested about is the salmon fishing. 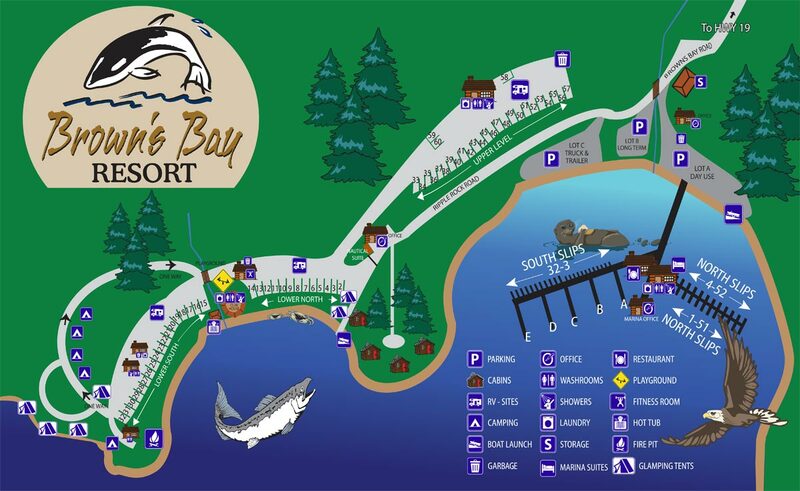 That is why Brown’s Bay Resort features a high-quality marina on Vancouver Island, BC, that has everything you need to get out there and catch the big one! Our docks provide you with the perfect place to park your boat, fuel it up, and buy all of the different accessories you need to start looking for that perfect catch. Furthermore, if you come and speak to the friendly staff in our marina office we will happily let you know which fish are being caught – including where, how, and with what. Fishing licenses are available online only. To purchase a licence please click here . 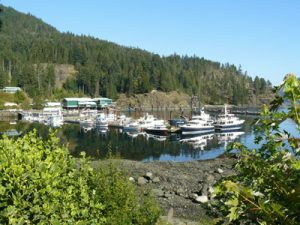 Once you have arrived, you will realize that our marina is situated at one of the best spots on the Inside Passage. Located on major nautical charts (Vancouver Island, Desolation Sound, Discovery Passage, 3312, 3358/39/41). This enables us to give you the perfect starting point for any boating adventures you want to go on, including taking advantage of the amazing fishing area. Interested in stocking up on accessories and apparel? Then you have come to the right place. Our marina is stocked with just about everything a boater and his or her family needs to enjoy a day out on the water. Not only do we have plenty of supplies for your boat, but we also carry a seasonal clothing line that has something for everyone, including t-shirts, fleece wear, baseball caps, and even rain gear. Stop by our fuel dock to browse these items we have available for you. Contact us to make reservations at our beautiful Resort located on Vancouver Island, British Columbia.